All through her long coaching career, Sue Barnett seemed to be one of those people with the amazing ability to be in multiple places at the same time. As a coach, this superpower served her well. Over her 43 years at both Northampton School for Girls and Williston Northampton (from 1967-2011), Sue coached soccer, field hockey, basketball, and softball, to name a few. At NSFG, she often coached two sports at the same time: soccer on Monday, Thursday, and Saturday, and field hockey on Tuesday, Wednesday, and Friday. Sue currently holds the Williston Northampton record for career wins in softball with 85 (54 losses). Even after she stepped down as the head coach, Sue continued to work with the team as an assistant. Even now, she can be spotted cheering the team on from the sidelines. The Athletic Hall of Fame induction ceremony, dinner, and reception was held on Saturday, June 6, 2015. Sue Barnett’s award was presented to her by the Rev. 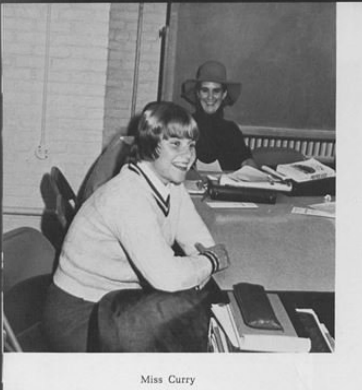 Mary Conant ’74. Read Sue’s full acceptance remarks here. Nominate your favorite athlete, team, or coach for the 2016 Athletic Hall of Fame here.